Currency: Riel - US Dollar also used. 68% of Cambodia's population is under the age of 30. The head is regarded as the highest part of the body and never touched by another. The Cambodian flag is one of only two national flags that has an image of a building. 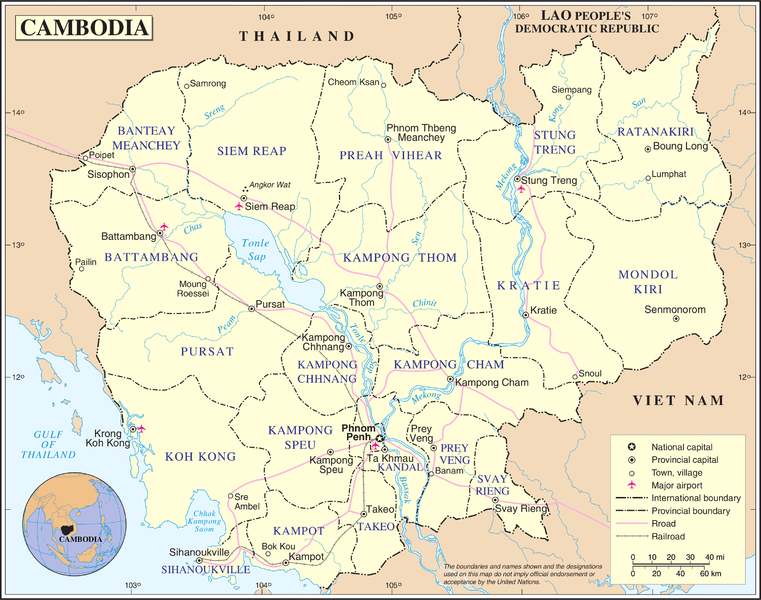 The name “Cambodia” is used in the Western world while “Kampuchea” is used in the East. There are 7 National parks in Cambodia. Angkor Wat - If you come to Cambodia and don't see this... well I am sorry. Sihanoukville to Phnom Penh, Cambodia – Should I Stay or Should I Go?